An extra fine baby merino that is truly scrumptious! Spun from the best merino fibres available, this extra fine baby merino is up there with cashmere for softness - it really is incredible and has to be felt to be believed! Comes in a range of 5 beautiful soft pastels, ideal for that heirloom baby shawl or even a pastel treat for yourself. Delicious to work with, the yarn holds a pattern beautifully but at the same time will maintain it's delightful softness for years to come. Untreated by the superwash process which causes yarns to become rougher, this yarn is ideal next to the most sensitive of skins. 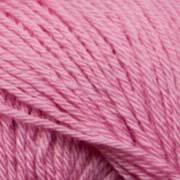 Comes in standard weight so will work to any existing 4 ply pattern, this yarn surely has the best snuggle factor we've felt yet!